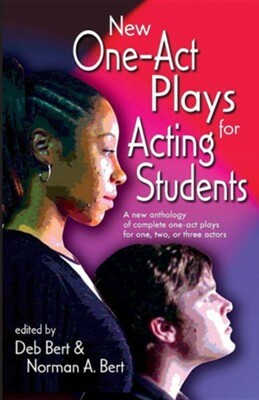 This latest volume in a series of short play anthologies compiled by Deb and Norman Bert provides roles for almost any mix of students in an acting class. The plays range in mood from serious and heavy to dark or satiric comedy to farce. The heart of the book includes fifteen scripts for two actors. Also included are five monologues and five three-character plays. The playwrights are icons of the American avante garde, writers who have contributed much to regional theatre over recent years. An excellent resource for classrooms and festival competition use. I'm the author/artist and I want to review New One Act-Plays for Acting Students: A New Anthology of Complete One-Act Plays for One, Two or Three Actors.